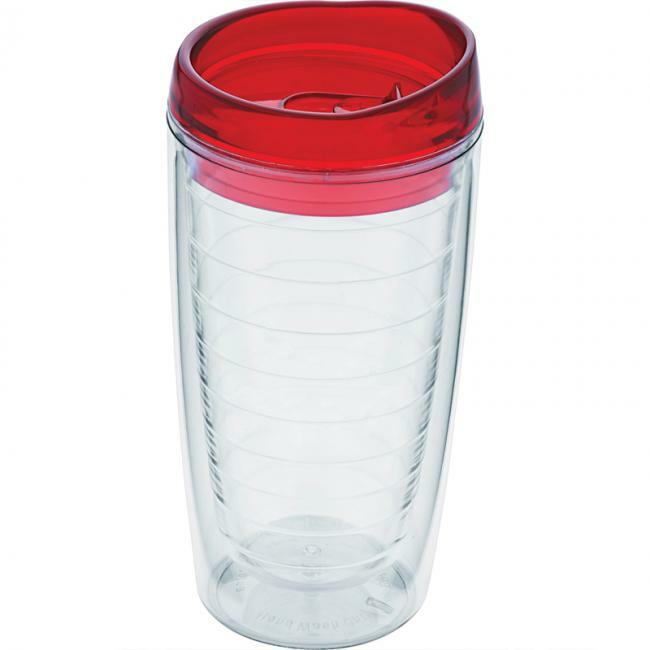 Our acrylic orbit tumbler is constructed out of double walled BPA free acrylic. 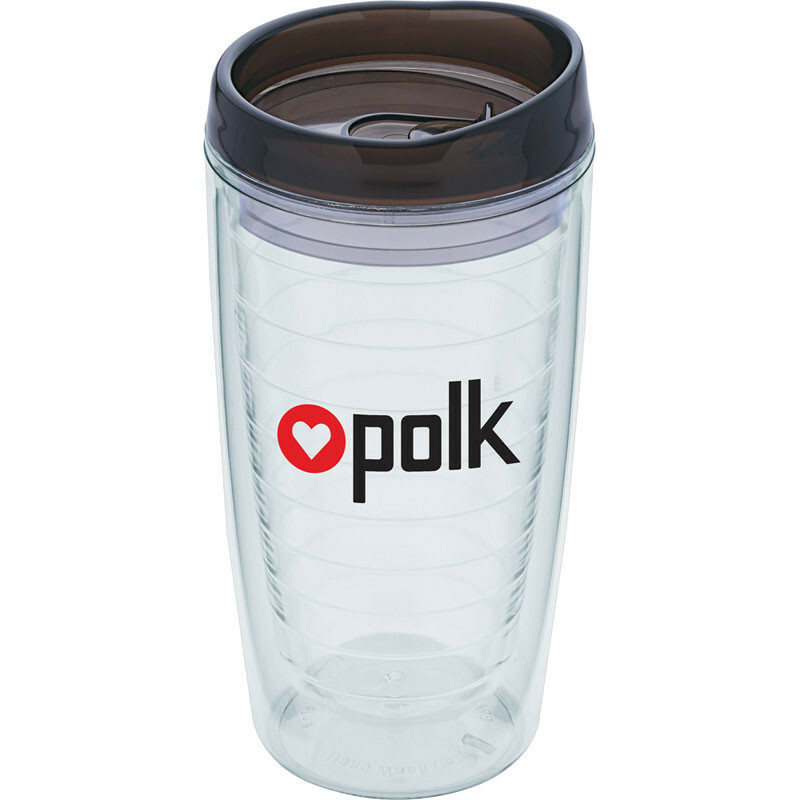 The double walled insulation keeps your warm drinks warm and your cold drinks cold. 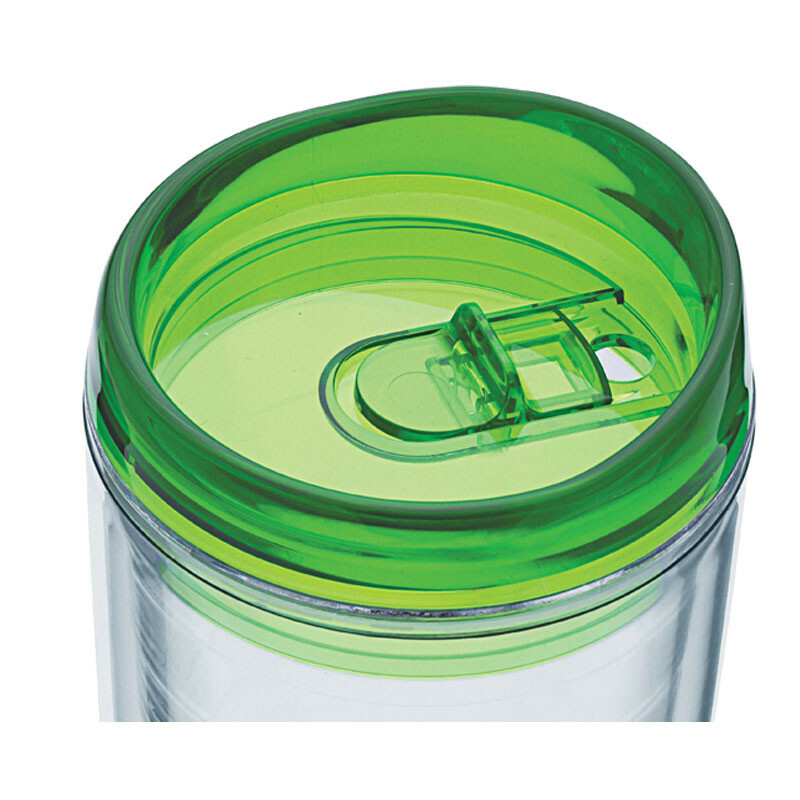 The thumb slide on the translucent colored lid can be easily opened and closed.